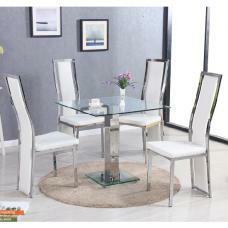 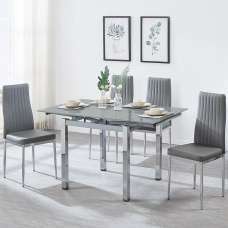 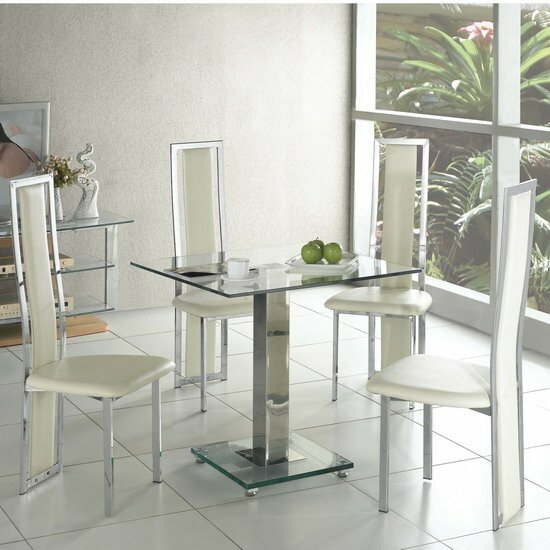 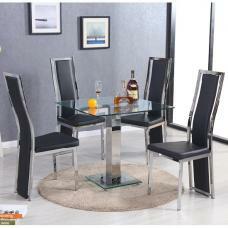 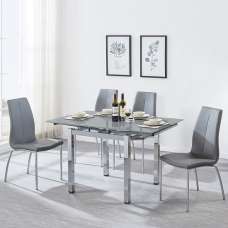 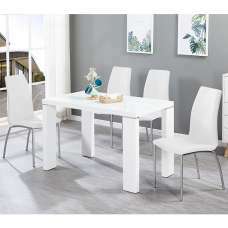 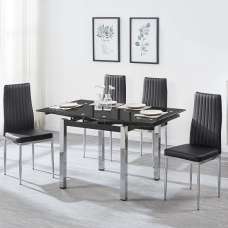 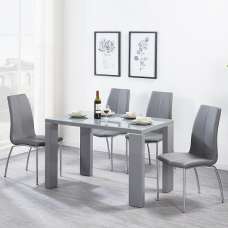 Apart from adding exclusive or costly furniture items to your kitchen or dining room, this Square Ice Dining Table set also lends warmth and feel of satisfaction to your home at an affordable price. 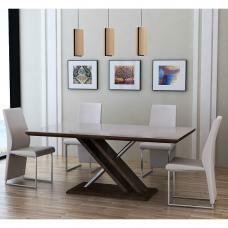 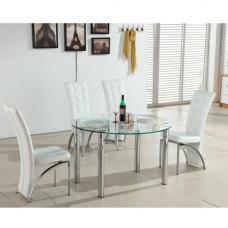 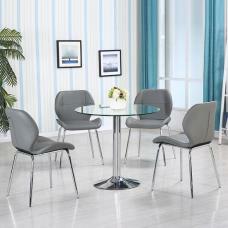 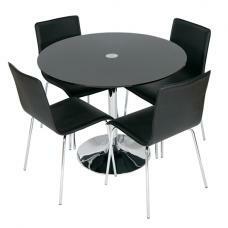 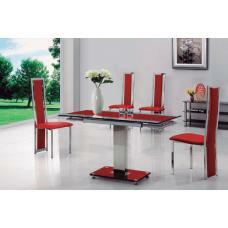 This dining unit is offered with both strength and durability. 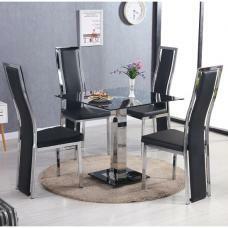 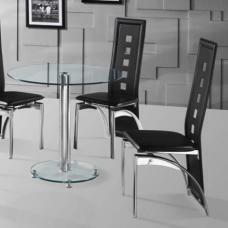 It is provided with clear glass top, chrome beam support, well built clear glass base and 4 cream faux leather chairs in high back, chrome legs.